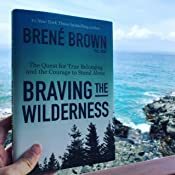 Start reading Braving the Wilderness on your Kindle in under a minute. I've been staring at the computer screen for about 10 minutes now, trying to start this review, and having no idea how to do so. 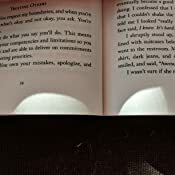 I just can't make the words come out, and writing the review terrifies me, and makes me feel a little ill. You see, I didn't buy, or read this book because I know the author or her work. I did both because the content sounded interesting, and because I needed my next big review. Yes, I read this book so I could review it, which is where the ill part enters. I started working toward being an Amazon Top 1000 reviewer about a year ago. Not because I really cared about the rank...it was just a goal. Something intangible I could work toward. And I chose it, because sad though it is, my reviews on Amazon and Goodreads are the last place in this entire world where I am willing to communicate, in any capacity, with other human beings. They're all I have left. I live a sad life. I have no friends and I'm lonely... So lonely that as I type this I feel like crying, even though I accepted this as my reality a long time ago. I cancelled facebook two years ago. I lost my last real friend three years ago. I struggle to call and make appointments because it requires talking to strangers, and for this reason I also can't go to the grocery store, or the gas station, or any other list of a hundred places that normal people go to have normal lives. You see, I decided five years ago that I was done with fitting in, and that I'd rather be lonely and alone, than to continue immersing myself in a world I found caustic. Everywhere I looked people seemed to be shouting, trying to make their voices heard. The most recent clever story on facebook. The most wittily stated opinion. I didn't see kindness, I saw intolerance and rudeness. I saw people ripping each other down through the medium of social media because they didn't have to look that person in the face, and see how their comments hurt them. Then I watched as that attitude seemed to make people less tolerant in the real world as well. I wanted no part of it anymore. From that point on I was standing alone, and that was that. It seemed like a good idea at the time, but as the years have passed, I've cut myself so far off from humanity that it feels like I'm the only person left in my world. It hurts, SO much, but I don't know how to undo it. I don't know how to go back. At least...I didn't. I know this review is already too long, and all I've done is clumsily muddle my way through it—attempting to express something I don't even know if others will understand. This is frustrating for me, because I don't want to talk about myself, and doing so is terrifying, particularly after so many years of silence. But I didn't know how else to express the impact this book had on me, without first talking about how much pain I've been in, and how nefarious my reasons for reading it in the first place. I got the "standing alone" part down pat. I did that years ago. The part I couldn't find, that maybe I'd never have found on my own, is the part where I know how to belong to something again. Join the world. Feel a connection to life and humanity. I cried just about the entire duration of this book. I got it because it sounded "interesting", but I feel like it opened up a hole in the side of my sad little world. I didn't think it would apply to me, but it's changed my life. I expected to write an honest, clinical review discussing its contents from a dispassionate point of view. But instead, here I am, still clumsily attempting to convey my feelings in the hopes that some part of this review might encourage even one other person to read this book. Everyone should read this book. Everyone who wants to stand alone, but still belong. Everyone who already is alone, and wants to be a part of something again. Everyone who is tired of a humanity that is separated. Give it a shot. If nothing else, get the sample chapters, and see if there's something in it that might speak to you. And if my review is clumsy, I sincerely apologize. 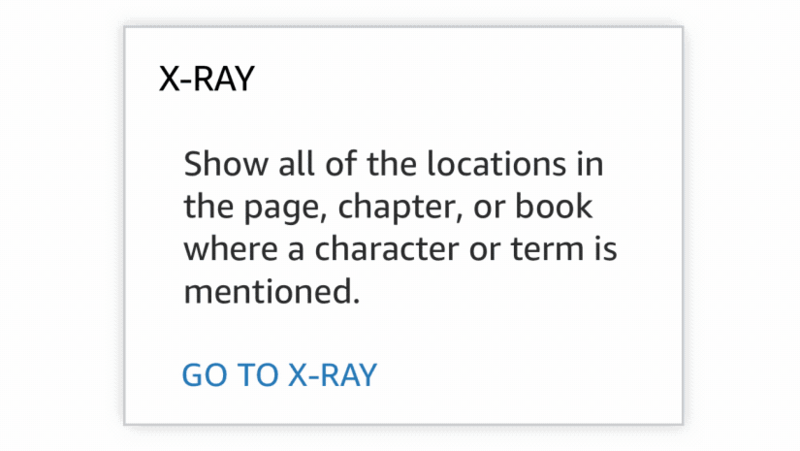 Please don't let that turn you off from the book. It changed my life, and I think it can do as much for many. EDIT: It's been 6 months since I wrote this review, and when I said this book changed my life, it did. Oh, how it did! I got into therapy. I've made some friends who share my interests, and even many of my anxieties. I no longer feel lonely or threatened. If anyone out there struggles as I did, please know that help is available, and change is possible. All it takes is one moment that changes all other moments. For me, that was this book! Thank you, from the bottom of my heart, for all of you who have supported me, and supported each other. Humanity is far more wonderful than I once believed!!! 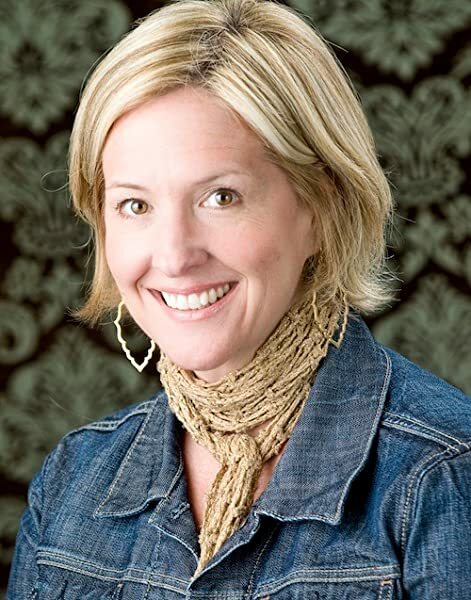 Like all of Brene Brown's books, this one is life-transforming. I would recommend that everyone--everyone--read each book of hers, in order, and this one last, as it is the culmination of all of the other books. But even better, buy this book, read it, go back and read the others and then read this again! This is the best of all of her books, as well as a prescription for being alive now, of being a citizen, a human being, a kind and caring and loving person--now--at this time in history. 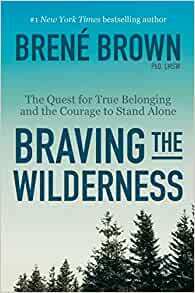 It is about how to be brave, kind, and good--no matter what your faith or lack of faith--and of dealing with the fractionalization of our country and of moving towards a re-humanizing (as opposed to dehumanizing) of our communities and families and other relationships, of transforming conflict in brave and true ways. 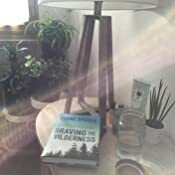 The book's theme is "true belonging", which the author defines as: "...the spiritual practice of believing in and belonging to yourself so deeply that you can share your most authentic self with the world and find sacredness in both being a part of something and standing alone in the wilderness. True belonging doesn't require you to change who you are; it requires you to be who you are." This might sound a bit unusual, but the book unfolds this idea in beautiful ways that truly will appeal to every reader--no matter what your ideology (including religious and political), no matter what your race, gender, or background. Read this book; I cannot convey in a review how much it has the potential to change your life for the better. 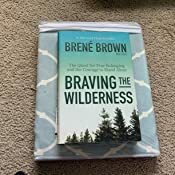 I read it yesterday and today in two sittings and am going back again and again to the writing, the ideas, and the inspiration to me to life more authentically and to be able to connect with others in deeper and braver ways. I've only listened to the first chapter of the book so far and I've been in tears three times. This book has already opened my heart and squeezed it hard. I can't wait to listen to the rest - my dog is going to be getting some long walks.